Vintage. It’s not really a word that you associate with whisky. For the overwhelming majority of drams the process is to lay down some spirit in a barrel, let it age for a pre-determined number of years and then bottle it as, say, a 12yo or an 18yo. The whole concept of releasing the product of one particular year, a vintage, is smack bang within the realms of the wine makers, hence generally seeing wines labelled with the year they were made. However, there is one whisky maker that has very firmly gripped the concept of vintaging by the proverbial horns and run like mad with it. The Glenrothes distillery, founded in 1878 and located in the Speyside whisky region (and not in the Scottish Lowlands town of the same name), has carved out a niche for itself by taking this unusual approach to aging whisky. Perhaps we should not be too surprised by this as The Glenrothes is owned by Berry Bros. & Rudd, one of the oldest and most respected wine merchants in London. While only around 2% of its stock actually goes towards the making of vintages, with the majority of production helping to create blends such as Cutty Sark and Famous Grouse, The Glenrothes distillers make no bones about the fact that the single malt range represents the apex of their art. One of the inherent problems with releasing product from a single year is that it can lead to inconsistency, as one release in all likelihood will taste different to the next. Not necessarily a negative, just that it’s not like purchasing a 12yo and then buying another later on and knowing that what you get will be exactly the same regardless of the year of production. The Glenrothes counters this idea by claiming that whisky is in reality just like wine and should be allowed to mature at its own rate, with bottling only occurring when the spirit has reached, in The Glenrothes own words, its ‘peak of perfection’ rather than at a pre-selected age. As you might imagine, The Glenrothes crew take a very active approach to checking their casks, determining the readiness of a vintage by looking for a unified ‘personality’ across a range of casks from that year. Speaking of casks, The Glenrothes has a very strong wood policy and the deepest of respect for their barrels. They say that the effect of the wood on their spirit is far more important that the length of time it spends aging, and that the careful selection of cask sizes and timber types is vital for achieving perfection. 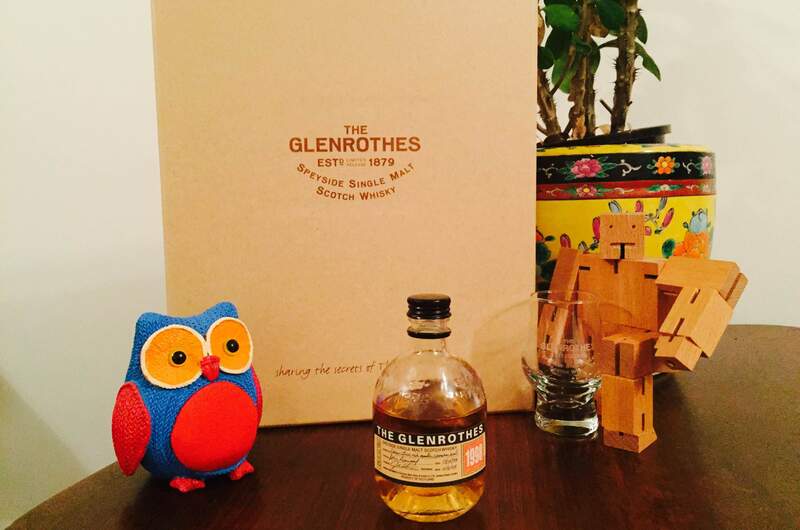 The Glenrothes use a mixture of first and second fill bourbon and sherry woods, and carefully marry them together to create the unique flavour profile for a vintage. 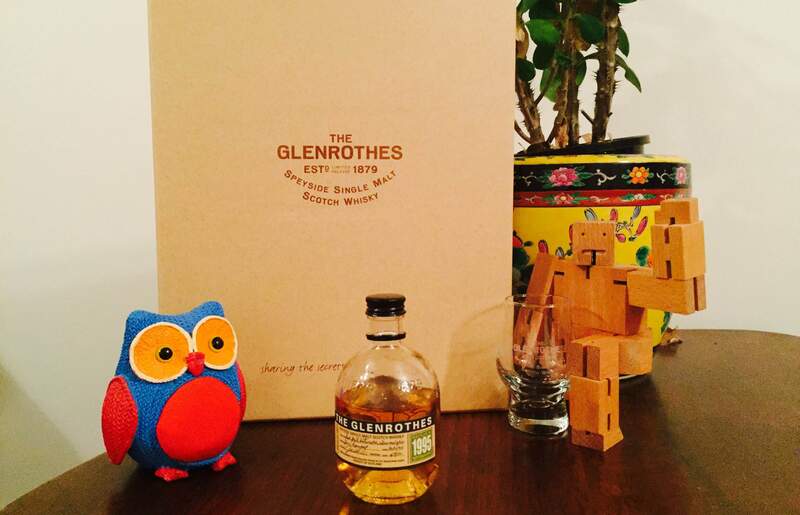 For this review we will be sampling not just one, but three releases from The Glenrothes! 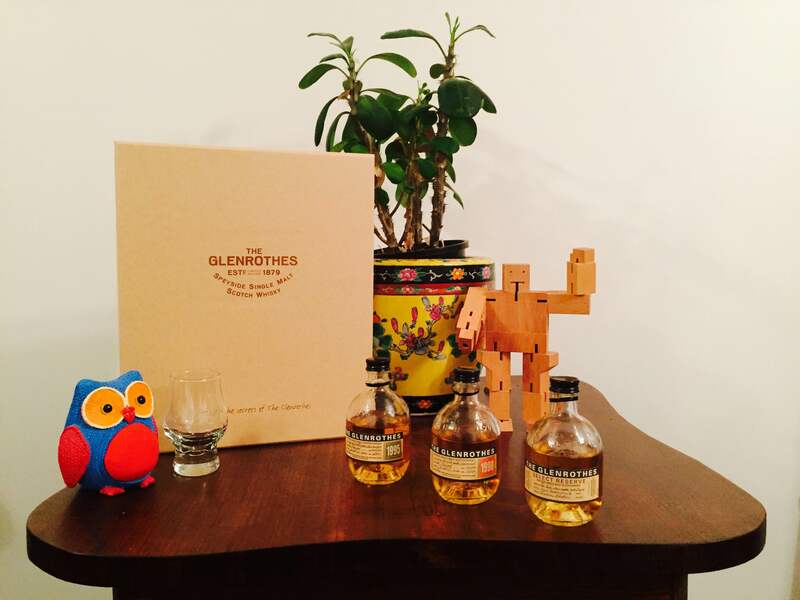 Their marketing team has very helpfully created a box set containing 100ml bottles of three of their more accessible drams: the 1995 and 1998 vintages, and their Select Reserve, a vatting of casks from different years created to be the holotype of The Glenrothes flavour profile. But wait, there’s more! The box set also contains three mini Glencairns monogrammed with The Glenrothes logo, a handy set of info booklets and cards describing the range, and of course the box itself, elegantly crafted from sturdy buff and copper coloured cardboard. All three expressions are quite light and spicy on the nose, which is probably in part thanks to the very tall stills and long distillation times used by The Glenrothes. The Select Reserve is quite broad and fat, with notes of fudge, old leather (from a classic car say), orange and almonds. In comparison the 1998 (bot. 2014) has caramelised pear, boiled caramel sweets and, rather oddly, perhaps a touch of engine grease (that’s not a bad thing. It’s a nostalgic smell that reminds you of your father working on a car when you were young). Finally, the 1995 (bot. 2013) is filled with hot, spicy and slightly sour grain mash, clover honey and curiously, a bit of melon. The very first touch of the Select Reserve on the lips is creamy, and then it bursts in a big ball of heat and spice inside the mouth, probably helped by the 43% used for all three of the drams. There is a hit of marzipan on the follow-through, while the finish is tangy and lingers gently on the tongue. In contrast the 1998 is smooth and creamy, and slides evenly across the tongue. The finish is fairly short and has a slight floral air to it. Again, the 1995 is sour and fruity, with green apples, pears and plums, finishing up with a nice fresh herbal zing at the end. The ‘ready when it’s done’ approach works out well for The Glenrothes. Each of its vintages is skilfully crafted and captures some special quirk that entered the distillation for that year. The clever and considered use of barrelling no doubt also helps to imbue each expression with its own character. Drinking a dram of The Glenrothes is a bitter-sweet thing; a happy encounter, but all the time you know that one day the vintage will run out, and never again will you meet that particular personality. So go, find that experience and capture it in your memory before it is too late. That set is just too cute! And 100ml is just the perfect size to be able to really sample – maybe even with someone else too. 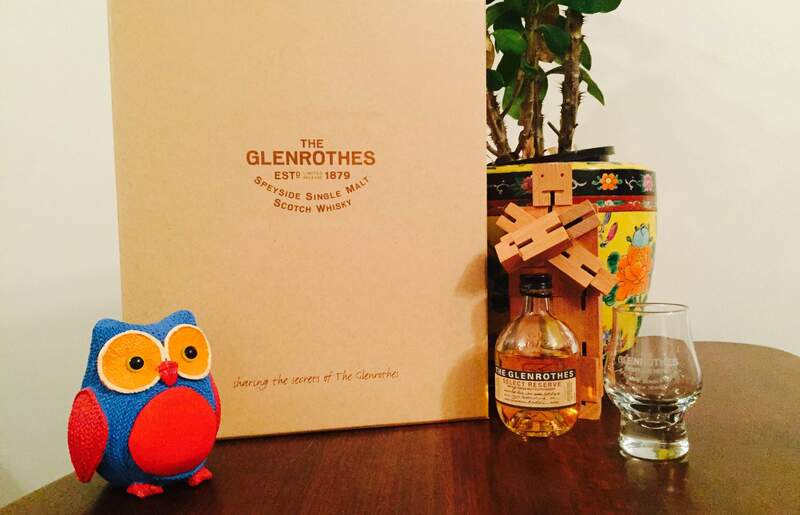 Deeeeeep envy as I’ve quite liked the Glenrothes I’ve tried til date! Well, there you go then. Ample opportunity for the buying of whisky. Actually, do you know anything about the Canadian Club 1950s? I’ve only had the pleasure of trying the 1994 vintage of the Glenrothes when it was available at one of my local bars and thought rather highly of it. Quite a complex flavour profile and I did enjoy that spicy note quite a fair bit. Have yet to try any of the 1995, 1998 or the Select Reserve but I believe that the time is right to give it a go heh.